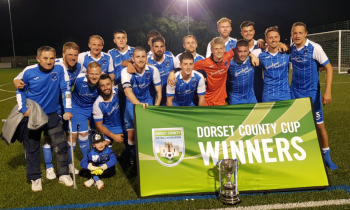 CONGRATULATIONS to ALL involved at MERLEY COBHAM SPORTS FC who this evening deservedly won the Dorset Senior Trophy after beating Hamworthy Recreation FC 2-0 with both goals courtesy of MATT GROVES in the 1st half in a competitive final staged at the Specsavers County Ground. Bridport Res came from 2 down at half time to beat their opponants Corfe Castle 3-2 at St Mary's field, a win that sees the Bees move up to 8th in the table. In their pursuit of the Runners-up spot in the table, Westland Sports beat Parley Sports 4-1 in East Dorset to draw level on points with Merley CS. CONGRATULATIONS to ALL involved at HAMWORTHY RECREATION FC who, by virtue of their 4-0 win against Sherborne Town Res are DORSET PREMIER FOOTBALL LEAGUE CHAMPIONS again. Wareham Rangers picked up a crucial 3 points in their battle to avoid finishing bottom after a 1-0 win at Parley Sports. Swanage Town & H claimed Purbeck bragging rights after their 2-0 win at Corfe Castle. Merley CS thrashed Sturminster Newton 7-2 whilst Holt United return from playing at Bridport Res with all 3 points after a 3-1 win. Dorchester Sports entertained Shaftesbury Res at the Avenue with the hosts winning 2-1. Westland Sports won a tight match 1-0 against Balti Sports at Alvington whilst Blandford United picked up a deserved 2-1 win at Gillingham Town. Hamworthy Rec are now just 1 win away from retaining their League Champions Title after a convincing 6-0 win at Blandford United this evening, Holt United welcomed Corfe Castle to Petersham Lane with honours even after a 1-1 draw. There was a draw also at Raleigh Grove as Sherborne Town Res drew 0-0 with Shaftesbury Res. In the final game played this evening, Bridport Res welcomed Gillingham Town to St Marys Field with the hosts winning 1-0. Hamworthy Rec maintained pole position after their 2-0 win at Magna Road against Swanage Town & H, Holt United and Merley CS shared 6 goals in a 3-3 draw at Petersham Lane whilst Westland Sports picked up a narrow 2-1 win at Wareham Rangers. Balti Sports came from behind to pick up a decent 3-1 win at Blandford Utd, Sturminster Newton won for only the 5th time this season as they beat Bridport Res 3-2 at Sy Mary's field. Corfe Castle picked up an impressive 3-2 win on the road against Sherborne Town Res, whilst Parley Sports drew 1-1 at Home with Gillingham Town, meanwhile another game to end all square was Shaftesbury Res against Dorchester Sports which ended 4-4. With the top 3 all playing away this evening, Leaders Hamworthy Recreation went to the Purbeck Center in the 6.30pm kick off and were given a tough test by bottom placed Wareham Rangers before eventually securing a 2-1 win. In the later matches, Westland Sports kept up the pressure with a narrow 2-1 win at Bridport Res, whilst Merley CS also won, 3-1 at Swanage T&H. In the 1st of 2 big games at either end of the League Table played Today, the eagerly awaited top of the table clash at Alvington saw visitors and leaders Hamworthy Recreation win 2-1 against Westland Sports, Corfe Castle won 1-0 over Sturminster Newton at the Fortress in a big bottom of the table match. Merley CS kept up the prsssure with a deserved 6-3 win at the Avenue against hosts Dorchester Sports. Sherborne Town Res kept up their recent fine form with a 6-0 win against Portland Utd Res at Ralegh Grove. Holt Unted beat Blandford United 5-3 at Petersham Lane, whilst winning by the same scorline were Balti Sports who triumphed at Swanage T&H. Parley Sports picked up a decent 2-1 win at Shaftesbury Res. Gillingham Town welcomed Wareham Rangers to Woodwater Lane with the hosts winning 4-2. In the 1st of April's midweek games Blandford United travelled to bottom placed Wareham Rangers with the Royals winning 6-1 to deepen the home sides Relegation worries. Meanwhile, at the other end of the table, Hamworthy Recreation remain top after a narrow 1-0 win at Bridport Res whilst Merley CS returned to winning ways after beating Shaftesbury Res 3-1 at Cochrams. In the race for the title, Merley CS suffered a huge loss in going down 2-1 at home against Sherborne Town Res, Westland Sports won 5-3 against Shaftesbury Res at Alvington whilst Hamworthy Recreation returned to the top of the table after hammering Portland United Res 9-0 at Magna Road. Blandford United won a 7 goal thriller 4-3 at the Rec against Parley Sports, another game with 7 goals saw Bridport Res win 5-2 against bottom placed Wareham Rangers at St Marys Field. Balti Sports picked up 3 points after a narrow 1-0 win at Sturminster Newton. Corfe Castle welcomed Gillingham Town to the Fortress and it was the away side who won 3-0. Holt United and Swanage Town & H played out a 0-0 draw at Petersham Lane. Congratulations to both Merley Cobham Sports FC & Westland Sports FC who this afternoon have made it through to this seasons Final, both sides won their Semi Finals on the road, Merley CS winning 5-2 at Holt United whilst defending Cup Holders Westland Sports won 5-1 at Blandford Utd. With Cup Semi Finals being played, League Focus switched to the foot off the table as Sturminster Newton moved off the bottom after a 2-1 win against Sherborne Town Res at Barnetts field, replacing them at the foot drop Wareham Rangers who lost 3-0 at home against Shaftesbury Res. Parley Sports picked up a deserved 4-2 home win against Corfe Castle. There were entertaining draws at Swanage and Dorchester as the Swans & the Bees played out an entertaining 2-2 draw at Days Park, whilst Sports and Portland Utd Res drew 1-1 at the Avenue. Balti Sports beat visitors Gillingham Town 2-1 at the College. With the top 2 not playing due to Postponements, Merley CS took full advantage as they beat Balti Sports 2-0 to move to the top courtesy of their goal difference, however they have now played 1 more game than the other 2. Dorchester Sports won 2-1 at Bridport Res, whilst Holt United won 2-1 at Petersham Lane against Sturminster Newton. Shaftesbury Res recorded a fine 4-0 win at Portland Utd Res and there were also away wins for Blandford Utd at Sherborne Town Res and Gillingham Town at Swanage Town & Herston, both by a 2-0 margin. 3 points now seperate the top 3 in the table as leaders Hamworthy Rec were held to a 1-1 draw by Gillingham Town at Magna Road, Westland Sports won 7-0 at Portland Uud Res whilst Merely CS continued their winning ways after defeating Parley Sports 5-0, with all their goals coming in the 1st half. Dorchester Sports went goal crazy at the Avenue as they thrashed Wareham Rangers 8-1, Swanage T&H travelled to Blandford Utd and duly beat the Royals 3-2, another side to win 3-2 on the road were Holt United who defeated Sherborne Town Res at Raleigh Grove. Shaftesbury Res beat Sturminster Newton 2-0 at Cochrams. Balti Sports needed a goal 2 minutes from time to win a 7 goal thriller 4-3 at the College against Corfe Castle. Shaftesbury Res picked up a welcome 3 points after a 2-0 win against Swanage Town & H at Cochrams, Balti Sports also return to winning ways after beating Dorchester Sports 3-1 in their local derby at the College. Sherborne Town Res & Parley Sports played out an entertaining 3-3 draw at Raleigh Grove, whilst Bridport Res won 3-1 against Portland Utd Res at St Marys field. Holt United won on the road in the Purbecks 4-1 against Wareham Rangers. In a big game at the foot of the table, Corfe Castle picked up a much needed win 2-1 at bottom placed Sturminster Newton. There will be an all DPL Final this year as Merley CS won 3-1 at Blandford Utd, they will face Hamworthy Recreation who defeated Wimborne Town Development 4-1 at Magna Road. Westland Sports SSC Cup run has ended at the Quarter Final stage after losing by the odd goal, 1-0 at Timsbury Athletic. With the Top 6 sides playing each other, and the Bottom 2 also facing off this afternoon, today could prove pivotal at both ends of the table. Wareham Rangers welcomed Sturminster Newton to the Purbecks with the game ending 1-1, a result that still sees Sturminster rooted to the bottom 3 points adrift of Wareham. Hamworthy Rec atoned for their defeat to Balti Sports 2 weeks a go by beating them 4-2 at Magna Road. 2nd place Westland Sports could only manage a 1-1 draw at Gillingham Town whilst Merley CS continue their fine form with a 4-1 win at Portland Utd Res, another side to win 4-1 were Blandford Utd who beat Shaftesbury Res at the Rec. Their were 2-2 draws at Dorchester Sports against Swanage Town & Herston and at Holt Utd against Parley Sports. In the late game Sherborne Town Res welcomed Bridport Res to Raleigh Grove and it was the Bees who edges a 7 goal thriller 4-3. The DPL would like to thank all connected with the DFL & SFC for the hospitality afforded to the Dorset Premier Football League this evening, it was very much appreciated. 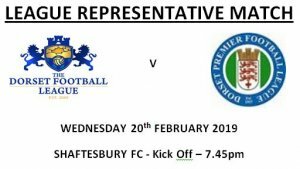 Please go to the NEWS section and follow the link for further details of the Squad selected to represent the League in our upcoming match against the Dorset Football League. Hamworthy Rec returned to winning ways after a 2-0 win at Magna Road against bottom placed Sturminster Newton, Westland Sports maintained the pressure on the leaders after a hard fought win at Petersham Lane 1-0 against Holt United. Dorchester Sports picked up a welcome win 2-1 at Blandford United. Swanage also picked up an impressive win on the road beating Portland Utd Res 5-3, whilst another side to win on the road were Sherborne Town Res who won 2-0 in the Purbecks at Wareham Rangers. Gillingham Town won a tight encounter 2-1 at Woodwater Lane against Corfe Castle. Shaftesbury Res and Balti Sports had to settle for a point a piece after a 1-1 draw at Cochrams. In the late game, Merley CS made the long trip west to Bridport Res and returned home with another 3 points after a 4-1 win. In tonights only game played, Westland Sports maintained 2nd place in the table after a narrow 2-1 win at Shaftesbury Reserves. 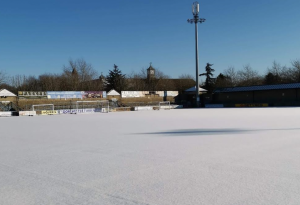 Have been POSTPONED following pitch inspections due to the Pitch Conditions caused by the current inclement weather. It was normal service resumed for the League Leaders after last weeks defeat as Hamworthy Recreation returned to winning ways by defeating Shaftesbury Res 4-1 at Cochrams. Merley CS kept up the pressure after winning 2-0 in the Purbecks at Wareham Rangers, Westland Sports gained a narrow 2-1 win at Blandford Utd to stay in 3rd place. Balti Sports stay in 4th place after a 2-0 home win against Holt United. There were impressive wins at the foot of the table as Sturminster Newton welcomed Portland Utd Res to Barnetts Field with the hosts running out 2-0 winners, meanwhile Corfe Castle defeated Dorchester Sports 4-2 at the Fortress. In the late games, there were home wins for both Swanage T&H who beat Parley Sports 5-1 and for Sherborne Town Res who beat Gillingham Town 2-1. With the leading two sides meeting at Magna Road, and with both sides scoring for fun, you would have thought that a low scoring encounter would ensue, how wrong you would be as Hamworthy Recreation and Merley CS shared 11 goala with Merley CS running out 6-5 winners. Another side to score 6 were Westland Sports who defeated Swanage Town & H 6-0 at Alvington. The points were shared at the Avenue Stadium as hosts Dorchester Sports drew 1-1 with Bridport Res, Portland Utd Res and Balti Sports also shared the points after a 0-0 draw at Grove Corner. Parley Sports picked up another 3 points on the road this time winning narrowly 2-1 at Sturminster Newton. 8 games played and not a Home win in sight !!!! So, a good day to be the Away team today as League Leaders Hamworthy Recreation won 7-0 at Petersham Lane against hosts Holt United, Portland Utd Res won 5-3 at Blandord United, Merley CS breached the Fortress as they beat hosts Corfe Castle 6-3, another side winning on the road were Westland Sports who won 4-0 at Sturminster Newton. Balti Sports made the trip to the Purbecks to play Wareham Rangers and the men from Weymouth picked up all 3 points after a 3-1 win. Gillingham Town and Bridport Res played out a 0-0 draw at Woodwater Lane whilst another game to end in a draw was Parley Sports who drew 2-2 with their visitors, Dorchester Sports. In the late kick off, the Zebras saw of the Swans as Sherborne Town Res won 2-1 at Days Park against Swanage Town & H.
Holt United kicked off 2019 in perfect style after beating Gillingham Town 2-1 at Petersham Lane, meanwhile in the Purbecks, Wareham Rangers secured a valuable 4-2 win against visitors Corfe Castle, a win that sees them leap frog over their opponants and out of the bottom two. Leaders Hamworthy Recreation secured an impressive 8-1 win away at Dorchester Sports, two of the chasing pack met at Merley Park with honours even after a 1-1 draw between Merley CS and Westland Sports. Balti Sports welcomed Sherborne Town Res to Cranford Avenue with the hosts running out 4-1 winners, Blandford United kept up their recent good form after a narrow 2-1 win at home against Sturminster Newton. Portland United Res returned to winning ways after winning 3-0 at Cochrams against hosts Shaftesbury Res. In the Late Kick Off, Bridport Res beat Parley Sports 3-2 at St Marys field. With the 3 remaining Quarter Final ties taking place, Blandford Utd welcomed visitors Sherborme Town Res to the Rec with the Royals winning 3-2, Joining them in the Semi Finals are Merley CS who won 2-1 at Parley Sports. In the earerly awaited clash of last years finalists, Westland Sports welcomed Hamworthy Rec to Alvington with the Holders, Westlands, winning 1-0. Wareham Rangers finish 2018 off with a much needed 3 points after a fine 2-1 win at Portland Utd Res, Balti Sports came back from trailing at HT to beat their visitors Bridport Res 3-2 at the College. There was a 9 goal thriller at the Fortress as visitors Holt United beat hosts Corfe Castle 5-4, Swanage made the long trip to Sturminster Newton with the Swans winning a close one 1-0 to head South with all 3 points. Another side to win 1-0 were Gillingham Town who beat Shaftesbury Reserves by that scoreline at Woodwater Lane. In the 5 games to survive the recent poor weather, League leaders Hamworthy Recreation maintained winning ways after beating Corfe Castle 4-2 at Magna Road, from the chasing pack, Merley CS played out an entertaining 3-3 draw at home against Blandford Utd. Gillingham Town won 3-0 at Woodwater Lane against visitors Portland Utd Res whilst Holt United won 4-2 at Petersham Lane against Shaftesbury Res. Sherborne Town Res picked up an impressive 3 points after beating their hosts Dorchester Sports 3-0 at the Avenue. The 3 remaining Quarter Final ties still to be played will be scheduled for the 29th December, which will mean alterations to the Schedule - Details to Follow. ALL of Todays schedule has been POSTPONED due to Waterlogged Pitches. Sadly, Roger Monksummers, the Secretary of Gillingham Town FC has suffered a heart attack this weekend, his Family have requested that he is not contacted, with immediate effect, until further Notice. On behalf of the League, we send Roger our very best wishes for a speedy recovery. Balti Sports welcomed Holt United to Cranford Avenue and it was the Bulls who progressed after a deserved 3-1 win. Corfe Castle picked up an impressive win as they defeated Portland Utd Res 5-3 at the Fortress, Dorchester Sports and Westand Sports played out an entertaining 2-2 draw at the Avenue, whilst Gillingham Town hit Swanage for 5 after a 5-0 win at Woodwater Lane. Sturminster Newtom move off the bottom of the table after a 5-2 win at Barnetts field against Wareham Rangers, who now replace the Cherries at the foot pof the table. Blandford Utd progressed through after a 3-1 win at home against Shaftesbury Res, joining them in the next round are Wimborne Town Development who knocked out Dorset Premier League side, Sherborne Town Res 4-3 in a thriller at the Cuthbury. Hamworthy Rec's decision to move their fixture to the County Ground proved worthwhile as they defeteated Bridport Res 5-0 to progress through. Swanage Town & Herston bowed out of this seasons competition as they were well beaten at Poole Town 10-2. In the only fixture played, Dorchester Sports welcomed Sturminster Newton to the artificial 4g surface at the Avenue with the hosts winning 3-0. In the only tie played, Merley Cobham Sports progressed through to the semi finals of the Dorset Senior Trophy as they defeated Gillingham Town 2-1 at home. Merley Cobham Sports went goal crazy, again, this afternoon as they thrashed visitors Swanage Town & H 11-0, this now means that MCS have scored 36 goals, conceding only 1, in their last 4 League Matches !!!! Shaftesbury Res welcomed Sherborne Town Res to Cochrams with the Rockies winning 3-1, Holt United returned to winning ways with a narrow 2-1 win against high flying Portland Utd Res at Petersham Lane. Westlands made the trip to Cranford Avenue to play hosts Balti Sports with the men from Alvington winning a close game 3-2. Parley Sports moved into 5th place in the table after beating Sturminster Newton 5-0 at home. Have been POSTPONED due to waterlogged pitches. In tonights only scheduled fixture Swanage Town & H welcomed Corfe Castle to Days Park in the "Other" Purbeck Derby, and it was the men from Corfe who claimed local bragging rights after a 3-2 victory. It was Lucky 13 today for Sturminster Newton who at the 13th time of asking got their 1st points of the season after a well deserved 2-1 win at home against Dorchester Sports. Gillingham Town welcomed Balti Sports to Woodwater Lane with the Tangerines winning 2-0, another side to win at home were Westland Sports who beat Parley Sports 4-0 at Alvington so giving the men from Somerset their 10th League win of the season to keep the pressure up on the Leaders Hamworthy Recreation who themselves today welcomed Bridport Reserves to Magna Road, and it was the men in green who emphatically won 7-1. Blandford Utd returned to winning ways after deservedly beating Holt United 4-1 at the Rec whilst it was honours even in the "El Purbeckio" as Wareham Rangers drew with Swanage Town & H 1-1. In the late game, Bridport Res welcomed Merley CS to St Marys field, and the visitors went goal crazy as they won 8-0, a win that moves them into 2nd place in the League Table. Shaftesbury Res made it through to the Quarter Finals of the DST, after a close 3-2 win against Beaminster at Cochrams. 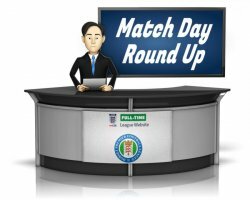 With the wet weather making its debut this season so seeing 3 games Postponed due to waterlogged pitches, Hamworthy Recreation overcame the conditions and a resolute Parley Sports to win 3-0 in East Dorset, moving into 2nd place are Portland Utd Res who beat their visitors Blandford Utd 2-1 at Grove Corner. Merley CS maintained 3rd place as they thrashed Wareham Rangers 9-1 at home. Congratulations to Corfe Castle, who at their 12th attempt got their 1st win of the season as they won 4-3 at the Fortress against Shaftesbury Res. There was a surprise result in the Dorset Senior Trophy as Balti Sports were knocked out 5-3 at Wimborne Town Development. 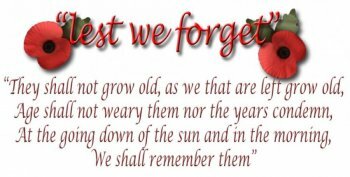 "WE WILL REMEMBER THEM ......"
Balti Sports recent good run came to an abrupt holt in East Dorset as Parley Sports beat them 6-0. Portland Utd Res continued their good season with a 3-0 win in the Purbecks at Wareham Rangers. Swanage picked up a deserved 3 points after beating Dorchester Sports 4-2 at Days Park. In the Dorset Senior Trophy, Sherborne Town Res taught Bournemouth University a lesson as they thrashed their hosts 10-2, joining them in the next round will be Blandford United who won 3-1 at Corfe Castle, in the North Dorset Derby, Gillingham Town beat Sturminster Newton 2-0 at home.Merley CS also made it through but only after a narrow 1-0 win at Broadstone. Another DPL side to get through but again in a close fought match were Bridport Res who beat Corfe Mullen 1-0 at St Marys Field. Westland Sports progress in the Somerset Senior Cup continues after needing penalties to finally see off a spirited Hengrove Ath Res at Alvington. With the scores level at 90 minutes at 3-3, the hosts won the shootout 5-3. Due to the AWAY team being unable to raise a side. Leaders Hamworthy Recreation win again this time 5-1 at home against Dorchester Sports, Westland Sports beat Bridport Res 4-2 at Alvington. Sturminster Newton are still looking for their 1st points of the season after they lost again, this time 8-0 at home against a rampant Merley CS, Holt United welcomed Wareham Rangers to Petersham Lane with the Bulls running out convincing winners 6-2. Parley Sports and Swanage T&H played out an entertaining 2-2 in East Dorset, another game to end 2-2 was Blandford United and Gillingham Town, played at the Rec. Balti Sports continued their fine form by beating Shaftesbury Reserves 4-1 at Cranford Avenue. Meanwhile, at the Fortress, Corfe Castle and Sherborne Town Res shared 10 goals with the Zebras winning 6-4. Following last nights remaining ties, the draw has been made for the quarter finals of this seasons competition, the draw was conducted by members of the LMC earlier today. Balti Sports travelled to Portland Utd Res with the men from Weymouth beating their neighbours to progress through to the next round 2-0, joining them will be Sherborne Town Res who entertained Gillingham Town at Raleigh Grove with the Zebras winning 1-0, all the more impressive after going down to 10 men after only 10 minutes of the game. Holt United made the long trip to Bridport Res, but it was well worth the effort as the Bulls finally overcame their hosts 4-2 after extra time with the score 2-2 at 90 minutes. Blandford Utd progressed through after Royally beating Swanage T&H 7-0 at the Rec, joining them in the hat for the next round are Hamworthy Rec after they beat Shaftesbury Res 4-0 at Magna Road. Merley CS beat Sturminster Newton 4-2 with all the goals coming in the 2nd half. Westland Sports also progress after beating Corfe Castle 6-3 at Alvington. In the final tie played today, Parley Sports needed extra time to finally get the better of hosts Wareham Rangers 3-2, this after being 2-1 at 90 minutes. Portland Utd Res recorded by far teir best result of the season so far as they beat Holt Utd 4-1 at Grove Corner. Dorchester Sports welcomed Gillingham Town to the Avenue with the hosts winning 3-1. In tonights only game, brought forward from the weekend, Sherborne Town Res welcomed Balti Sports to Raleigh Grove with the men from Weymouth winning 3-2 with all the goals coming in the 2nd half. In tonights League Representative match, the DPL representative side played Hamworthy Utd FC at the County Ground, in a competitive and enjoyable match the Wessex League side won 3-0 with goals from River Smith x2 and Luke Stone. 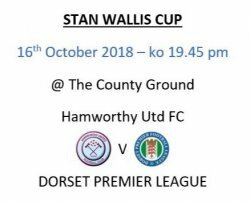 Come along and support the Leagues Representative side as they play in this friendly as part of Hamworthy United FC's opening celebrations of their new Stan Wallis Suite to be officially performed by Harry Redknapp. Hamworthy Recreations long unbeaten start to the season is over as Gillingham Town beat them 1-0 at Woodwater Lane, Blandford Utd welcomed Corfe Castle to the Rec with the Royals winning 4-1, Shaftesbury Res return from their trip to the Purbecks with all 3 points after a deserved 3-0 win at Swanage T&H. Parley Sports picked up another home win as they beat Bridport Res 2-1 in East Dorset. Westland Sports welcomed Merley CS to Alvington Lane with the Somerset men winning 3-1. Balti Sports win again this time 2-0 against Wareham Rangers at the College. Portland Utd Res beat bottom placed Sturminster Newton 3-1 at Grove Corner. Dorchester Sports picked up the points after a narrow 1-0 win at Holt Utd. Holders Holt United made it through to the next round after winning a 9 goal thriller at Chickerell Utd 5-4, another side to win a 9 goal thriller were Corfe Castle who also won away 5-4 at Witchampton Utd, safely through are Hamworthy Rec who won 4-0 at last seasons beaten finalists Westland Sports Res, Merley CS won 4-1 at home against AFC Tisbury whilst Blandford United had to come from being 2-1 down at half time at home against Mere Town to eventually triumph 5-3. Bridport Res made the trip to Turlin Moor and beat their hosts Poole Borough 6-1. Congratulations to Sturminster Newton, who claimed their 1st win of the season in all competitions after beating Lyme Regis 3-1 at Barnetts field. Dorchester Sports welcomed Bournemouth University to the Avenue and it was the students who shocked their hosts by winning 2-1. Shaftesbury Res beat Afc Blandford 5-2 at Cochrams. In the 3 All DPL ties, Gillingham Town beat Parley Sports 2-1, Balti Sports won 4-1 in the Purbecks against hosts Wareham Rangers, and Sherborne Town Res also progress after winning 3-1 at home against Portland Utd Res. Westland Sports progressed through to the next round but were made to work for it as they won 3-2 at Chew Magna, this after being 3 nil up at the break. Gillingham Town hit 12 of the best as they thrash Wareham Rangers 12-1 in the Purbecks, League Leaders Hamworthy Recreation carry on winning, this time 3-0 at Sherborne Town Res. Merley CS were also amongst the goals today as they won 7-1 at home against Shaftesbury Res. Portland Utd Res picked up an impressive 4-0 win in East Dorset at Parley Sports, whilst Holt United narrowley beat their visitors Bridport Res 3-2 at Petersham Lane. Westland Sports won 3-1 against Dorchester Sports at Alvington Lane, meanwhile at the college, Balti Sports and Swanage Town & H played out a 1-1 draw. Sturminster Newton are still looking for their 1st points of the season after losing 2-0 at home against Blandford Utd. In the eagerley awaited clash of the top two at Magna Road, it was the hosts and League leaders, Hamworthy Recreation who ran out 3-0 winners against Westland Sports. Balti Sports gained another impressive win, this time 3-1 at home against Merley CS. Blandford Utd went goal crazy at the Rec as they Royally beat their visitors, Sherborne Town Res 7-1 whilst Bridport Res return from the Purbecks with all 3 points after a fine 5-2 win at Wareham Rangers. Parley Sports beat their visitors Shaftesbury Res 2-0, with Swanage T&H also winning 2-0 against Sturminster Newton at Days Park. Gillingham Town were narrow 2-1 winners against Holt United at Woodwater Lane whilst at Grove Corner, Portland United Res welcomed Corfe Castle with the hosts winning a 7 goal thriller 4-3. Swanage Town & Herston bow out of this seasons Competition after losing 3-0 at home to Longwell Green FC. Westland Sports welcomed Wareham Rangers to Alvington, and it was the Somerset Side who ran out convincing 7-1 winners, Corfe Castle secured a point after a 2-2 draw at the Fortress against Parley Sports, with the visitors coming back from 2 down at HT. Sturminster Newton are still looking for their 1st points of the season after they went down 4-1 at home to Bridport Res. Portland Utd Res triumphed 5-1 at Grove Corner against Sherborne Town Res whilst the League Leaders maintained pole position after a narrow 1-0 win at Magna Road against Shaftesbury Res. Merley CS beat visitors Gillingham Town 5-1 whilst Balti Sports secured a hard fought 3-2 win at Petersham Lane against hosts Holt Utd. Finally at the Avenue Stadium, Dorchester Sports beat Blandford Utd 3-1. 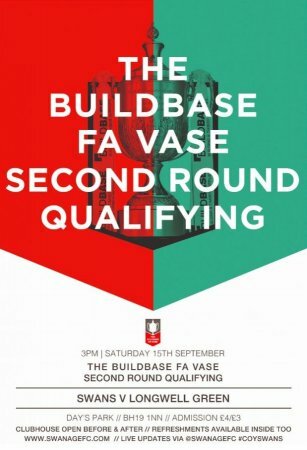 Good luck from all in the DPL to Swanage Town & Herston FC for their FA Vase tie tommorrow.